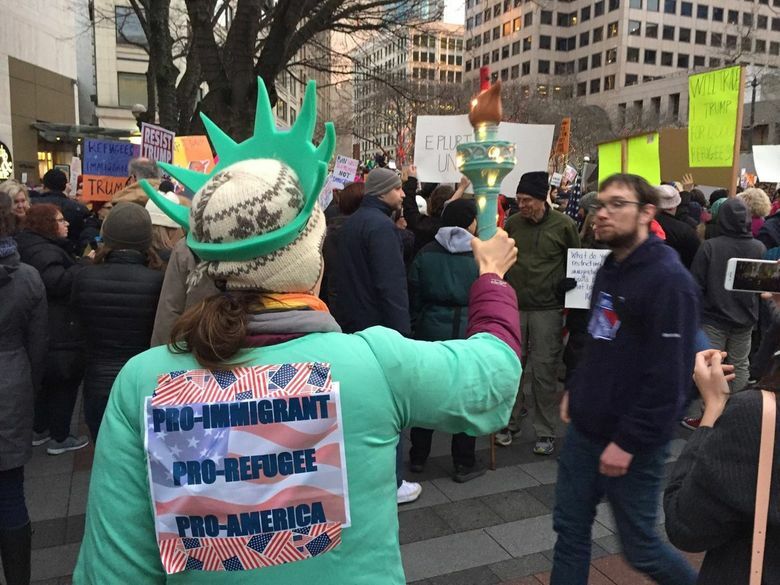 Weekend recap: Protesters and local Democrats, including Gov. 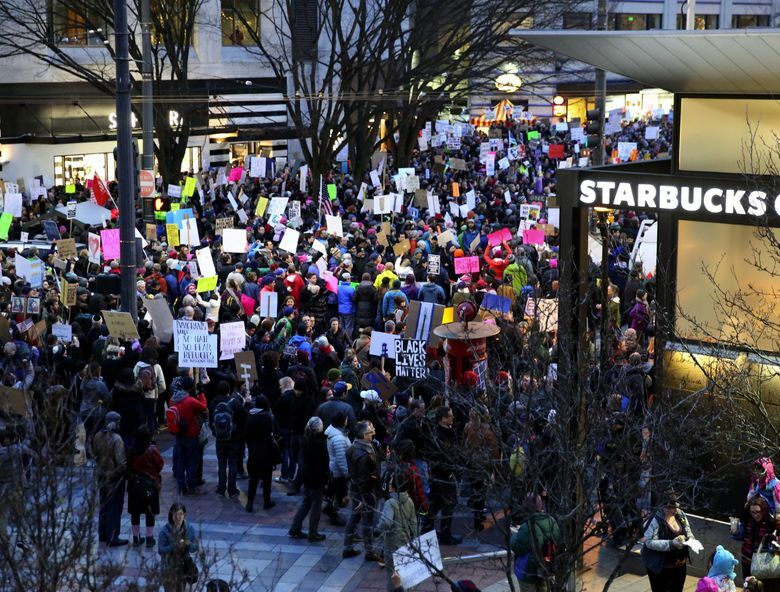 Jay Inslee, made their voices heard. 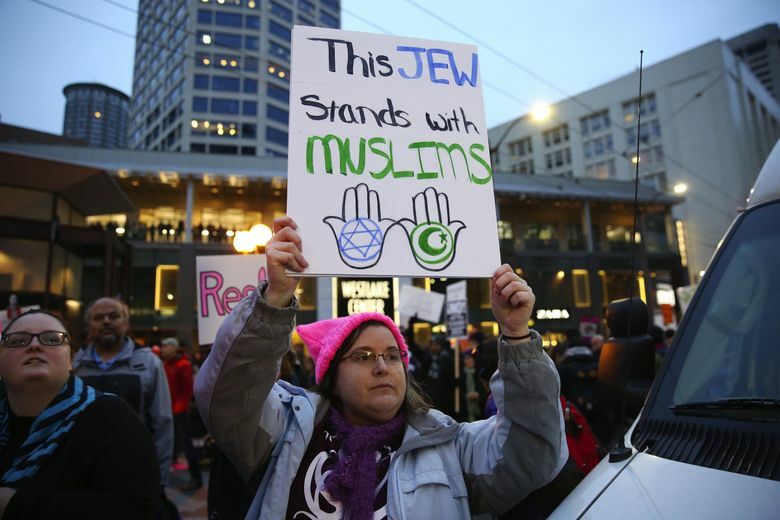 This is what happened. 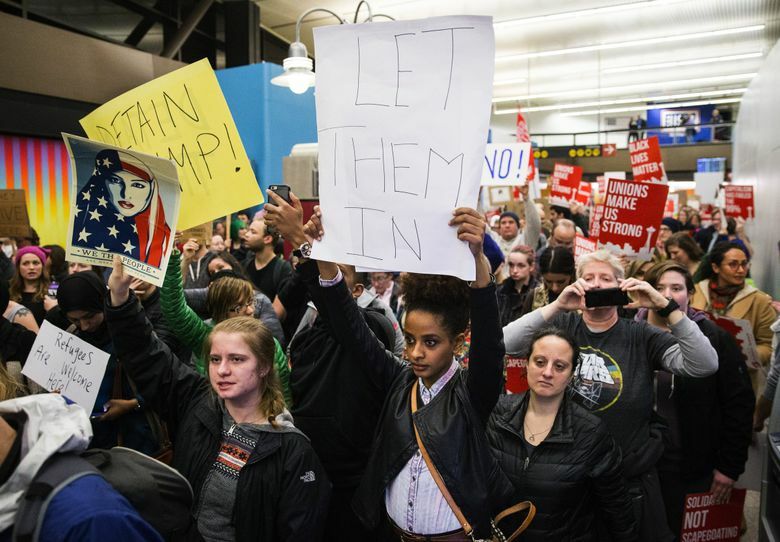 Travelers were left confused and stranded, protests erupted around the country and Republicans began to close ranks in the days after President Trump signed an executive order Friday temporarily closing the nation’s borders to people from several majority-Muslim countries. 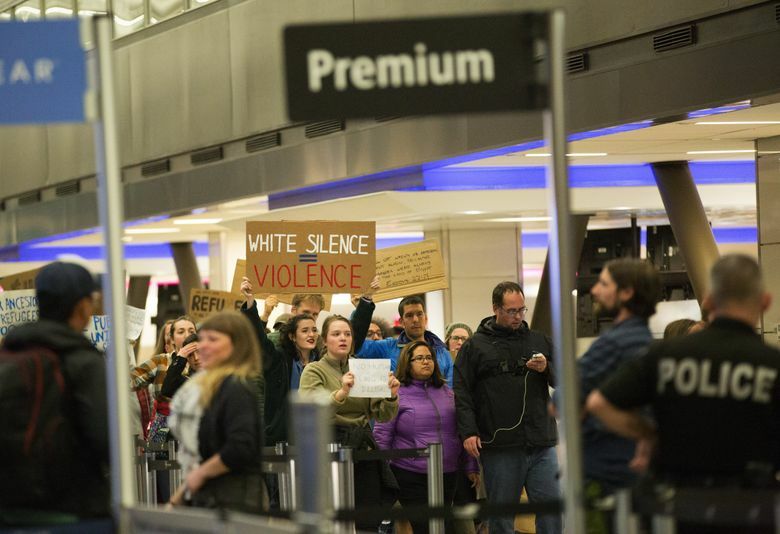 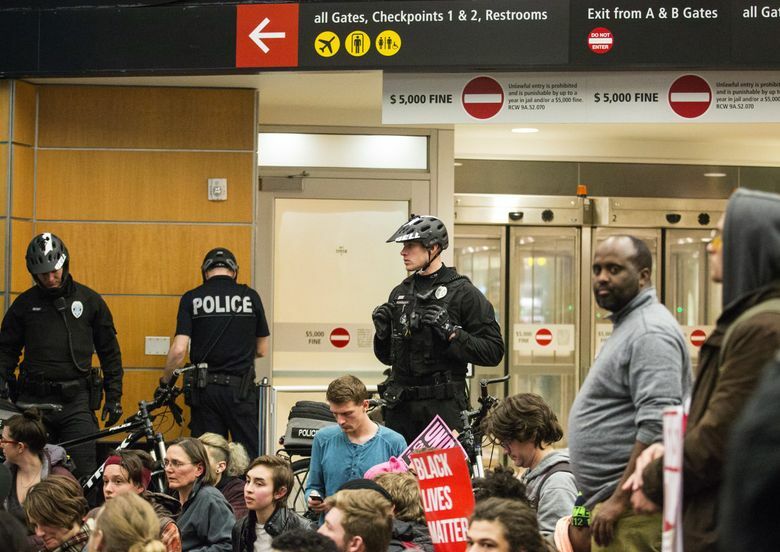 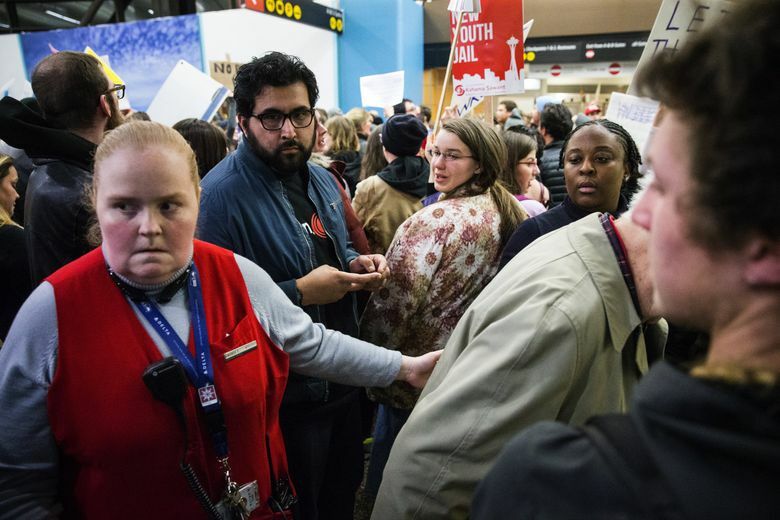 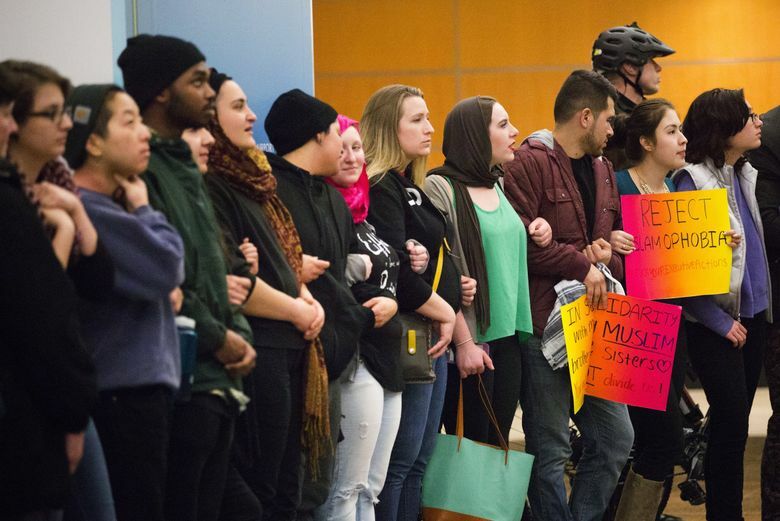 The order ensnared air travelers at Seattle-Tacoma International Airport, touching off a weekend marked by protests and condemnation from several state and local elected officials. 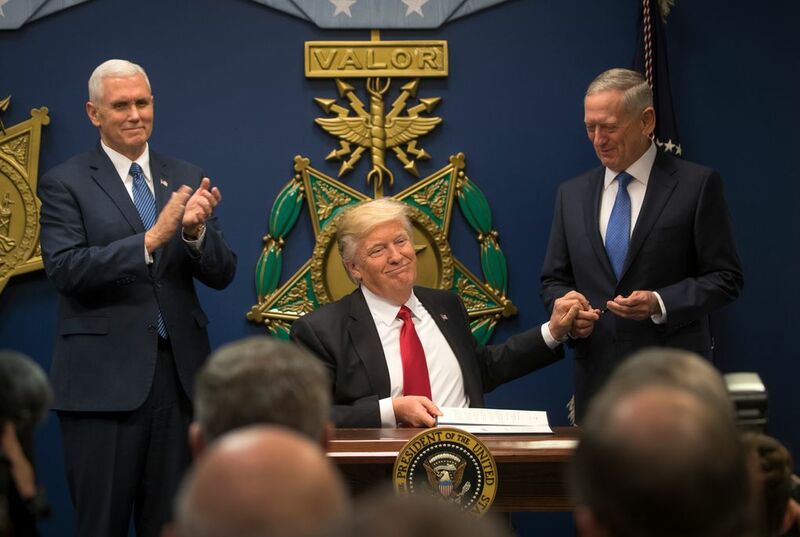 Citing concerns over the vetting of foreigners seeking entry to the United States, President Trump signed an executive order barring all refugees from entering the country for 120 days, blocking Syrian refugees indefinitely and barring citizens from seven majority Muslim countries — Iran, Sudan, Syria, Yemen, Libya, Iraq and Somalia— from entering the United States for 90 days. 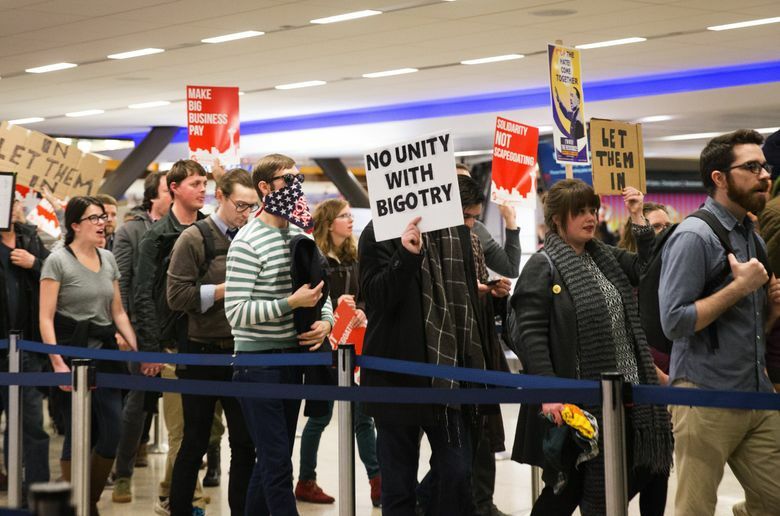 The order also bans permanent residents from the countries who have already gone through the vetting process from re-entering the United States. 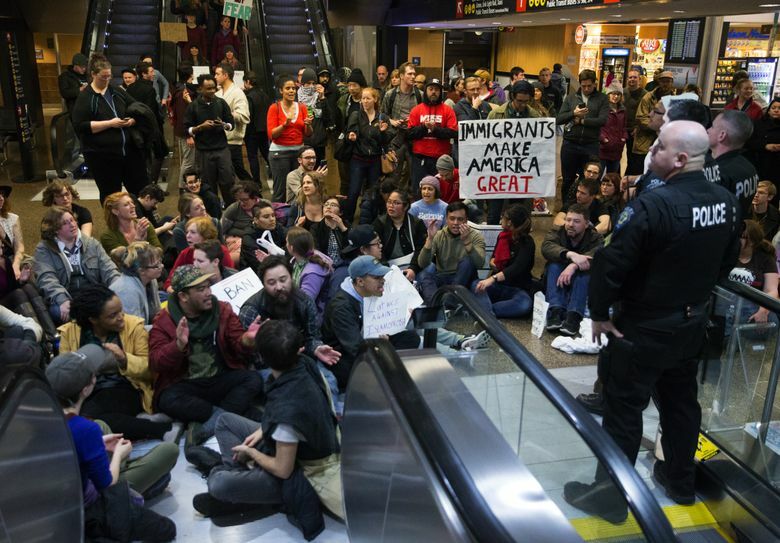 Air travelers and refugees were detained at airports by U.S. Customs and Border Protection agents. 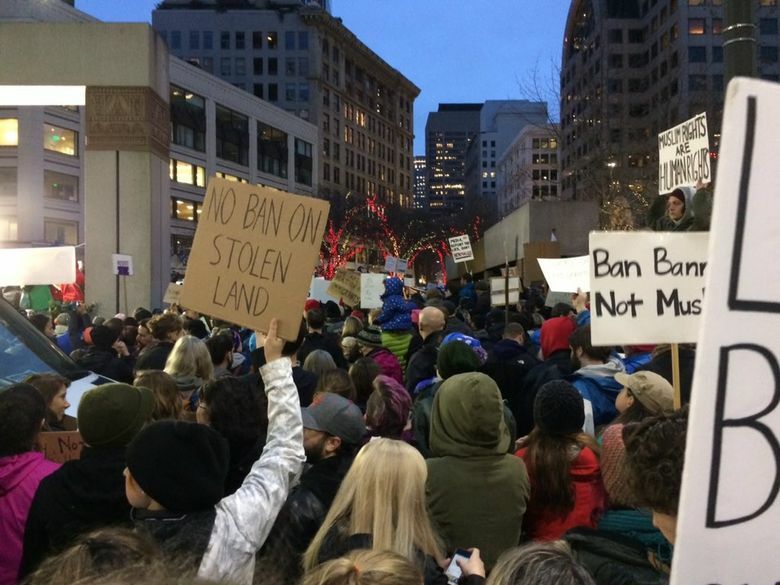 Some were barred from speaking with lawyers and forced to return to their countries of origin, sparking protests in Seattle and around the nation. 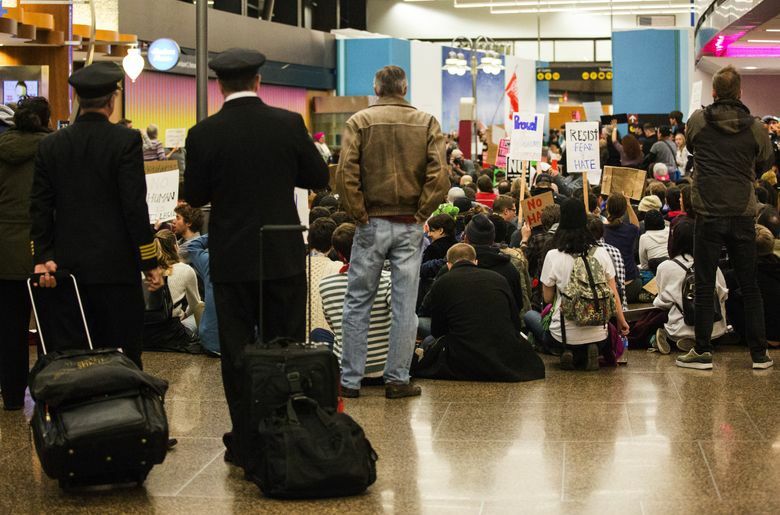 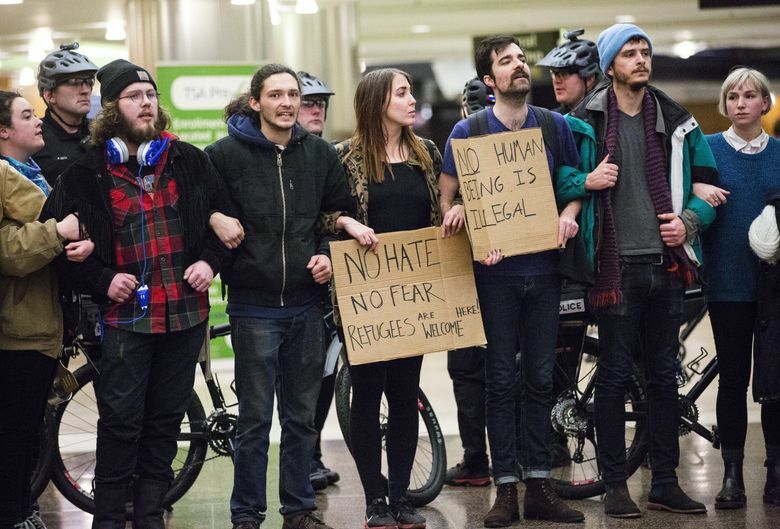 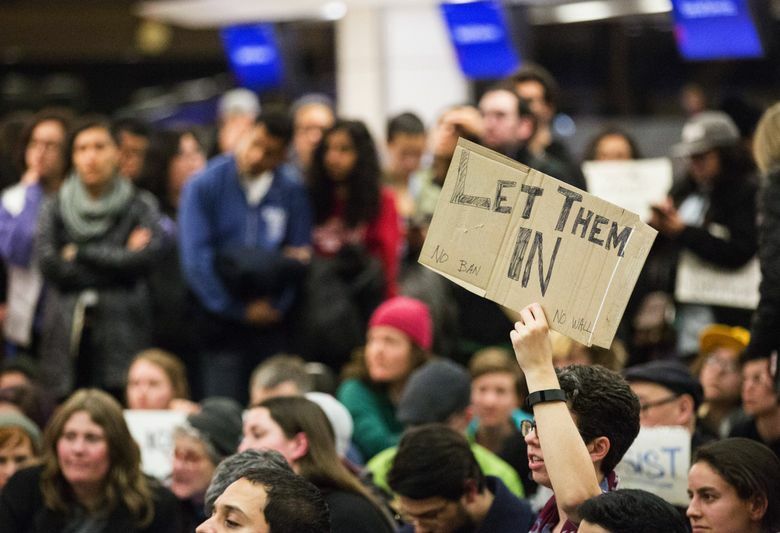 Late Saturday afternoon, protesters poured into Sea-Tac Airport amid reports that six people had been detained at the airport. 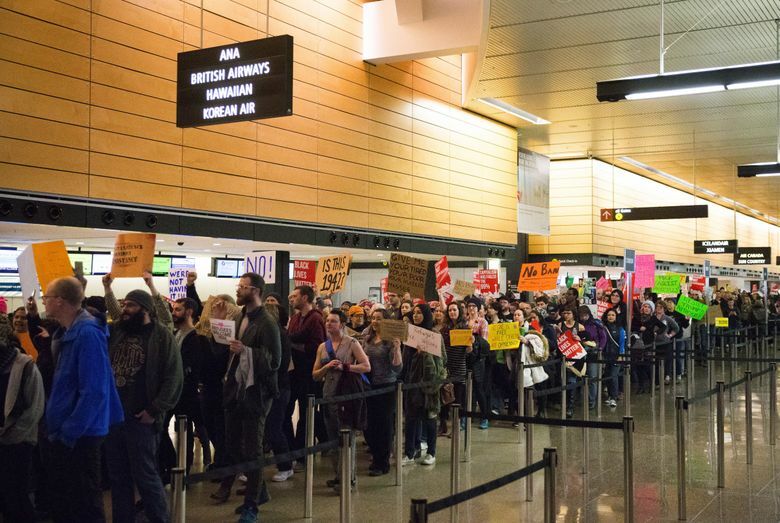 State and local elected officials, including Sen. Patty Murray (D-Wash.), Gov. 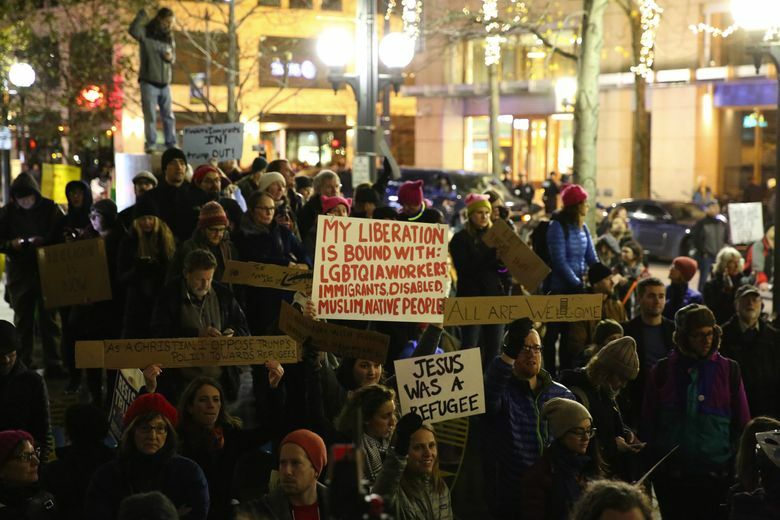 Jay Inslee and Seattle Mayor Ed Murray, condemned the executive order. 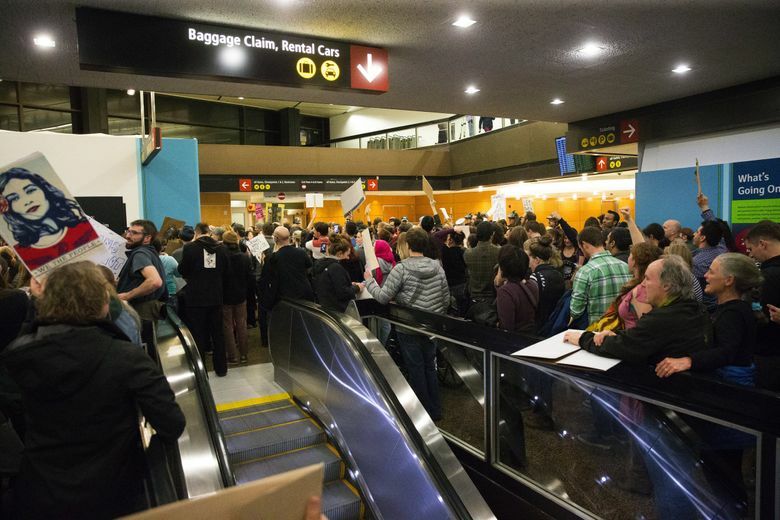 As the protest continued to build, police asked that light-rail trains not stop at the airport. Shortly before midnight, police began detaining protesters. 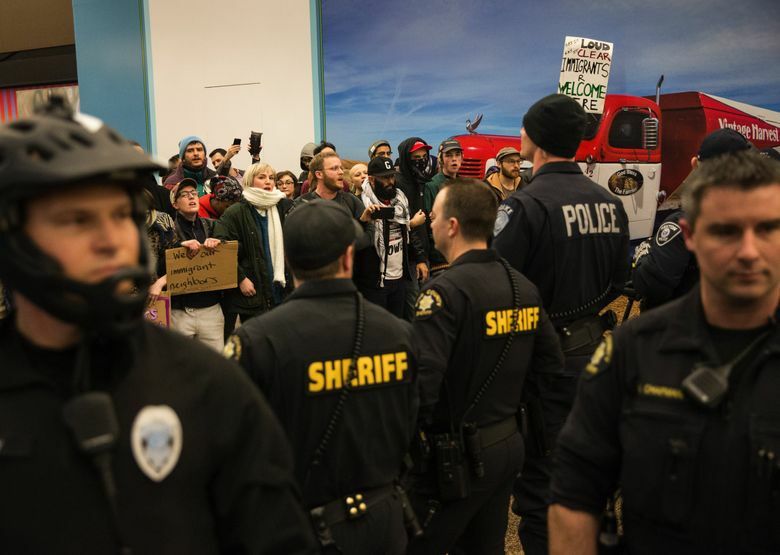 More than 30 people were arrested and cited for criminal disorderly conduct. 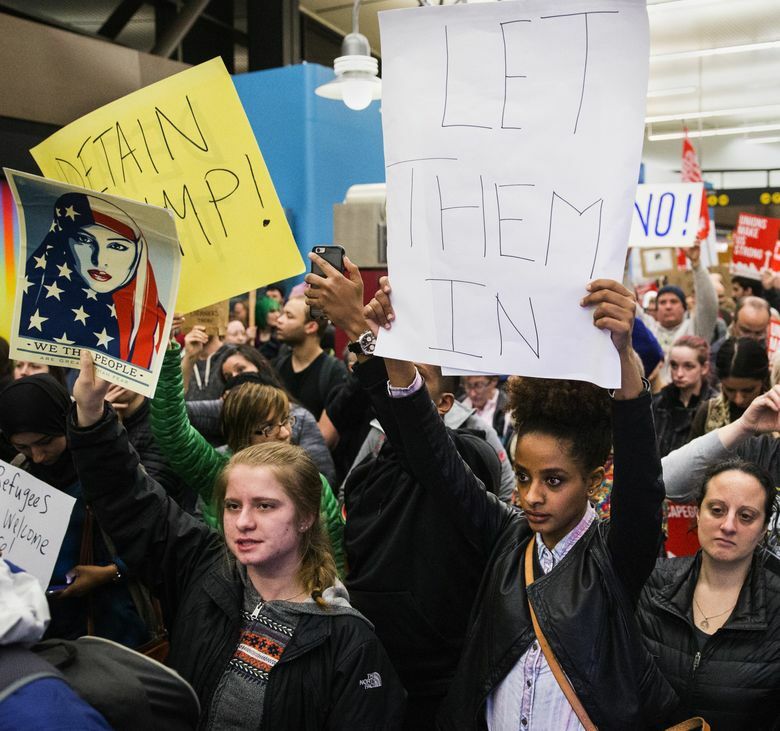 Late Saturday evening, Judge Ann Donnelly of Federal District Court in Brooklyn ordered a temporary injunction, barring federal authorities from removing travelers who had arrived in the United States with valid travel visas or whose refugee status had already been approved. 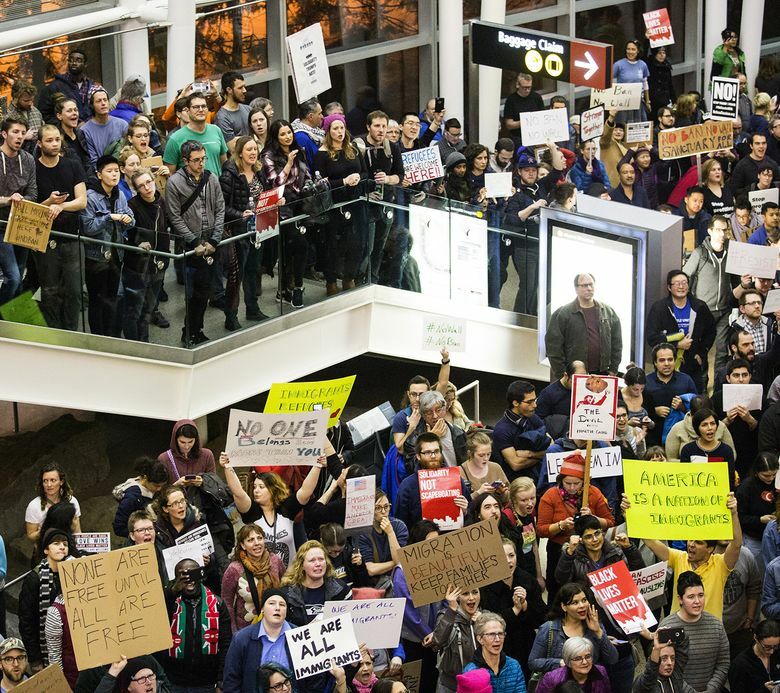 In Seattle, four of the six travelers detained earlier in the day were returned to their countries of origin. 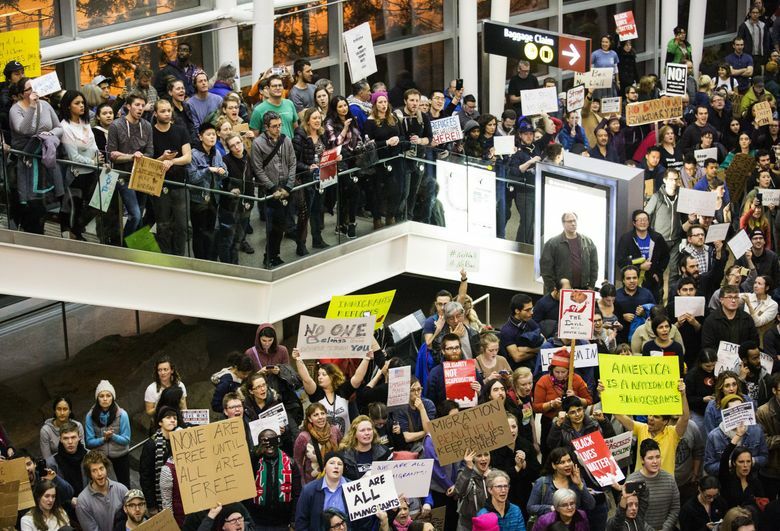 Seattle U.S. District Court Judge Thomas Zilly granted an emergency stay to prevent the remaining two travelers from being deported. 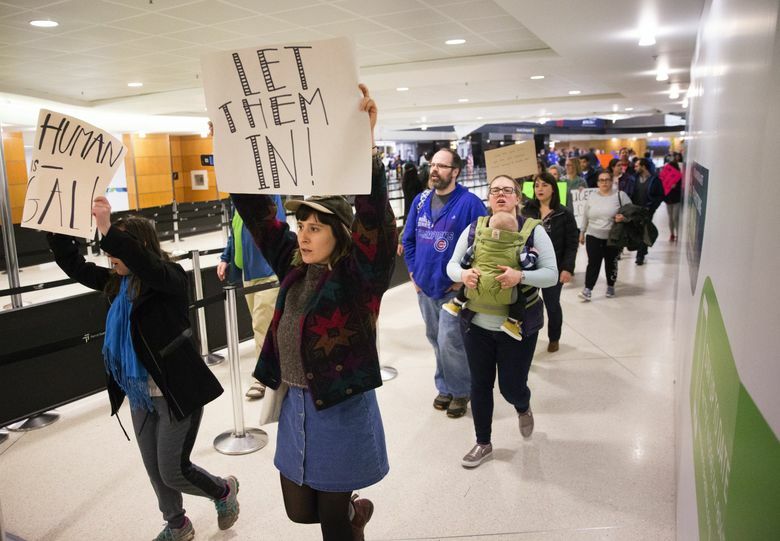 The two remaining detainees — citizens of Yemen and Sudan — were released Sunday morning after being held for hours at the airport by agents from Customs and Border Protection. The U.S. Department of Homeland Security later announced that it would continue to enforce the president’s executive order, but also comply with the judicial orders. 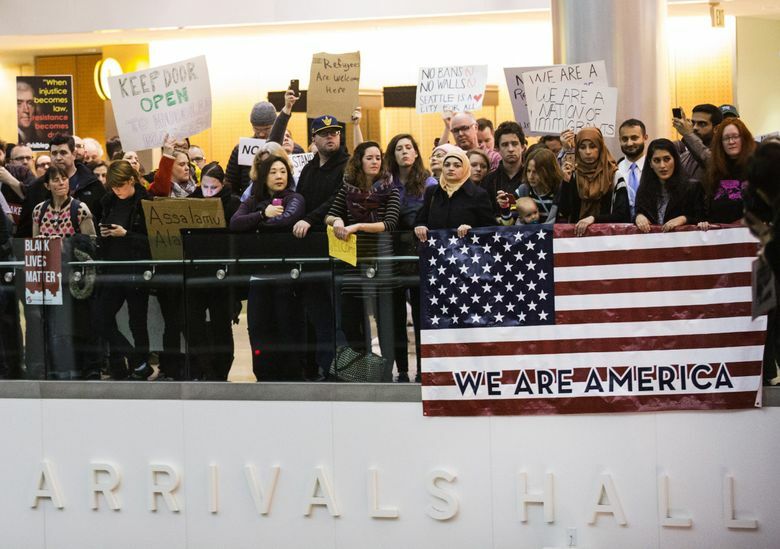 Later, federal officials backed off part of the order, announcing that permanent residents (green-card holders) would be allowed into the United States. 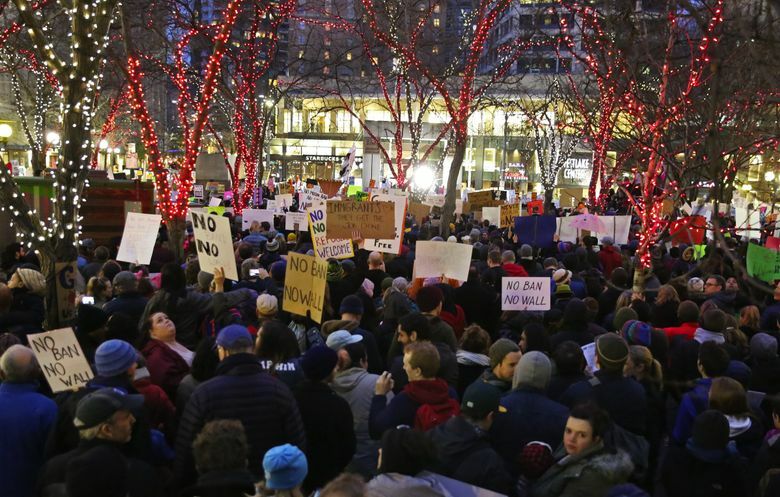 Thousands gathered in Westlake Park in downtown Seattle to condemn Trump’s order in a second night of protests. 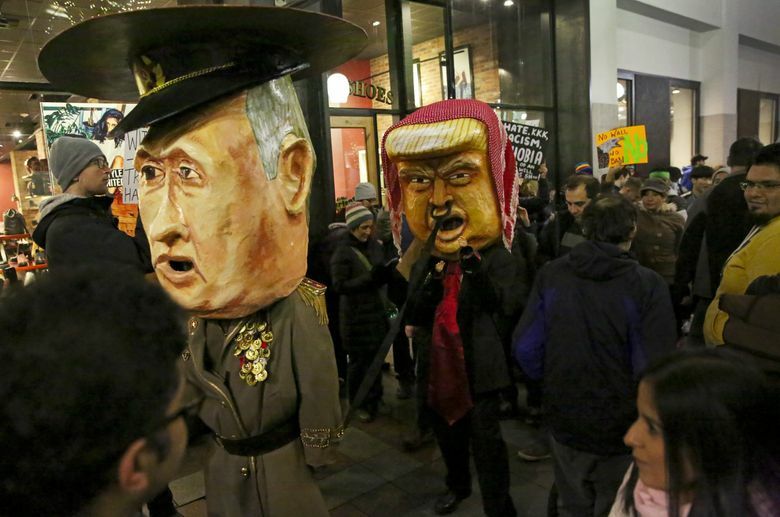 The rally morphed into a march as demonstrators walked through downtown into Capitol Hill, South Lake Union and elsewhere. 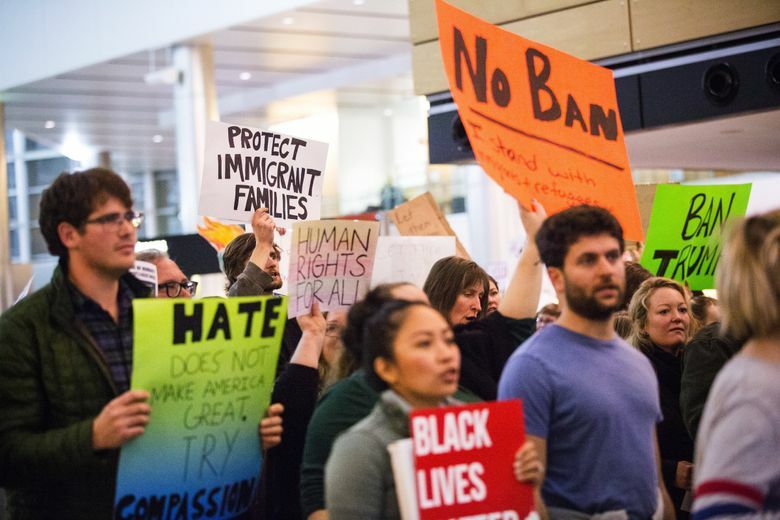 Washington State Attorney General Bob Ferguson said he will file a federal lawsuit Monday seeking to invalidate key provisions of President Trump’s executive order. 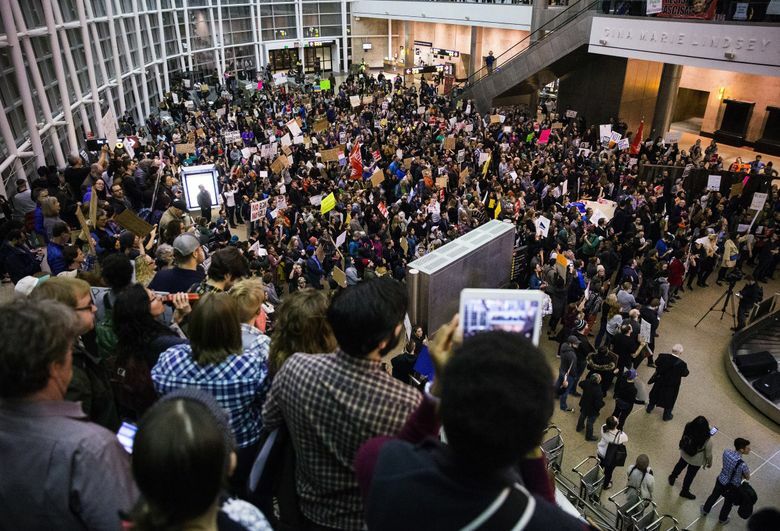 Ferguson said the lawsuit will be backed by declarations from Expedia and Amazon.com that will testify to the economic impact of Trump’s immigration order. 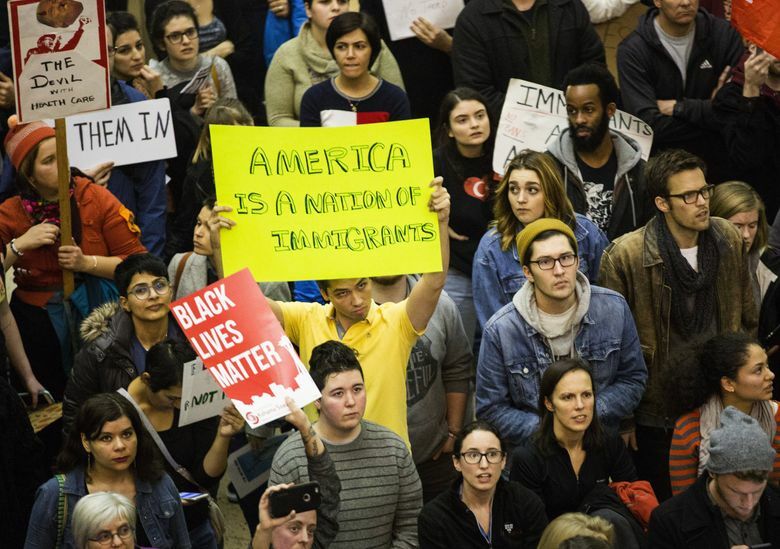 “We are a country based on the rule of law. In a courtroom, it is not the loudest voice that prevails. 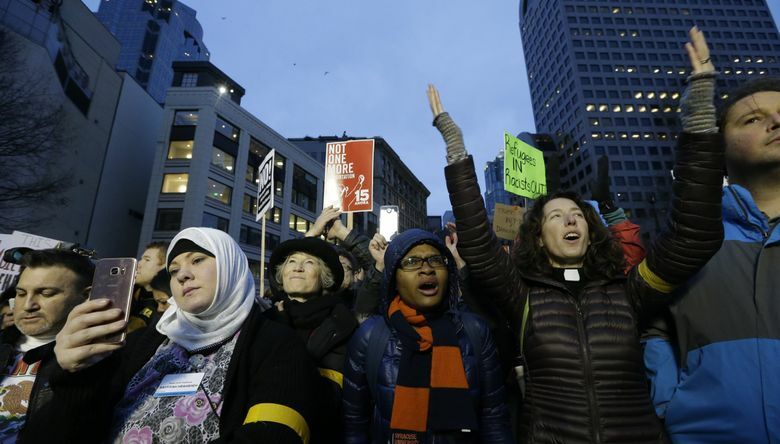 It’s the constitution,” Ferguson said at a news conference in Seattle.